Jiang Li merges the influences of his Chinese culture with neolithic images, bronze age designs, post Han literature and the Lao Tse Philosophy. The imagery and colours used draw inspiration from the Buddhist cave paintings of the Silk Road as well as from the Yunnan Province’s verdant jungle setting and its exotic tribal inhabitants. 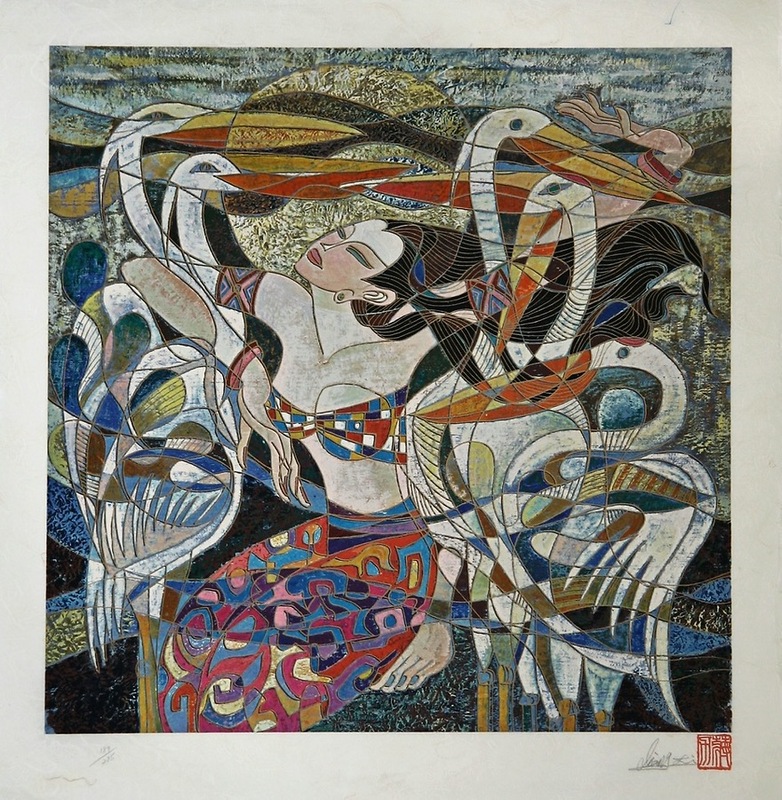 The works of Jiang Li are a tribute to the human spirit.